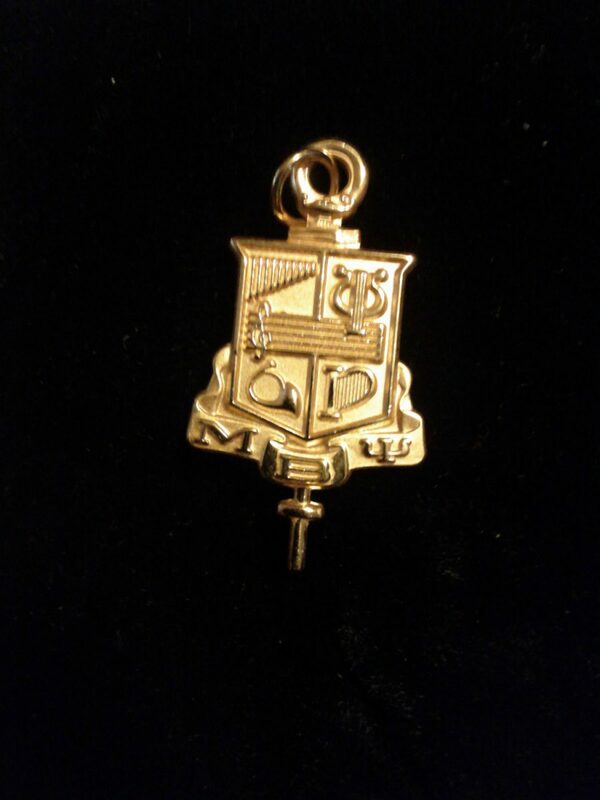 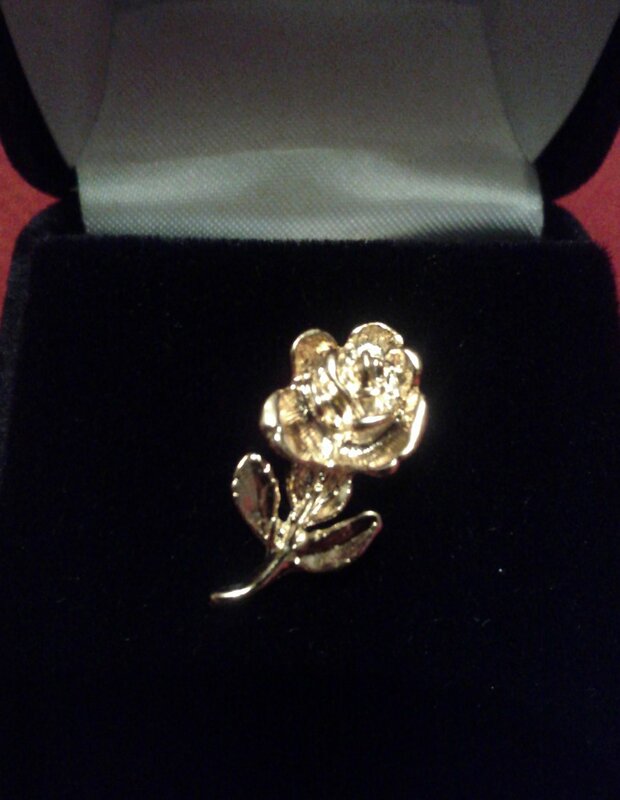 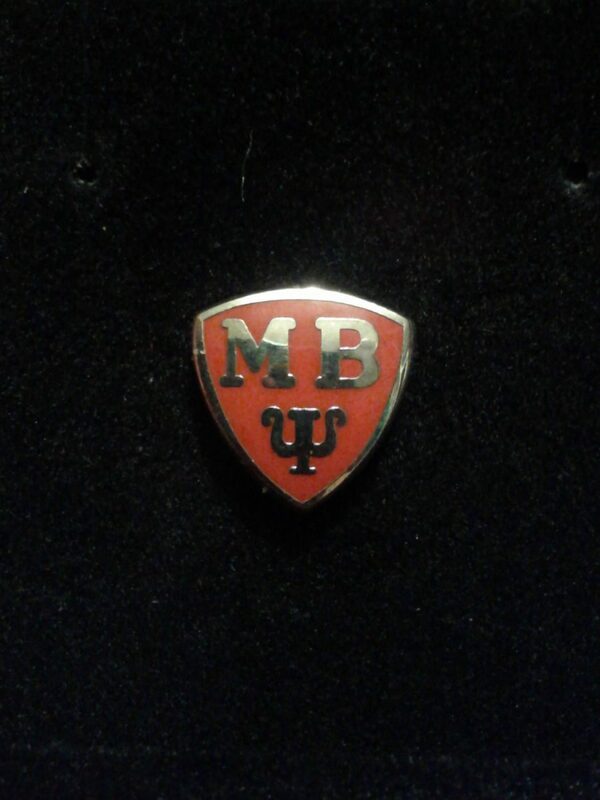 The Pledge Pin identifies prospective members of Mu Beta Psi, National Honorary Musical Fraternity. 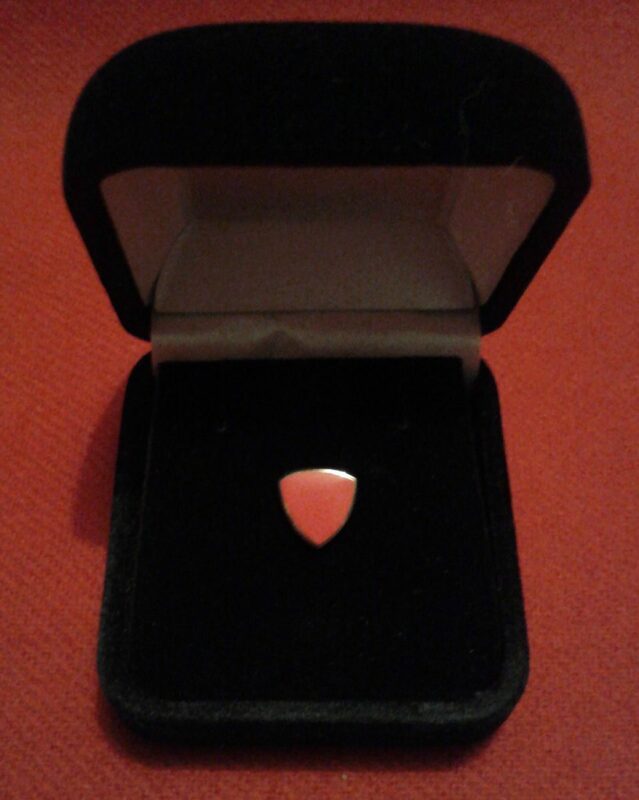 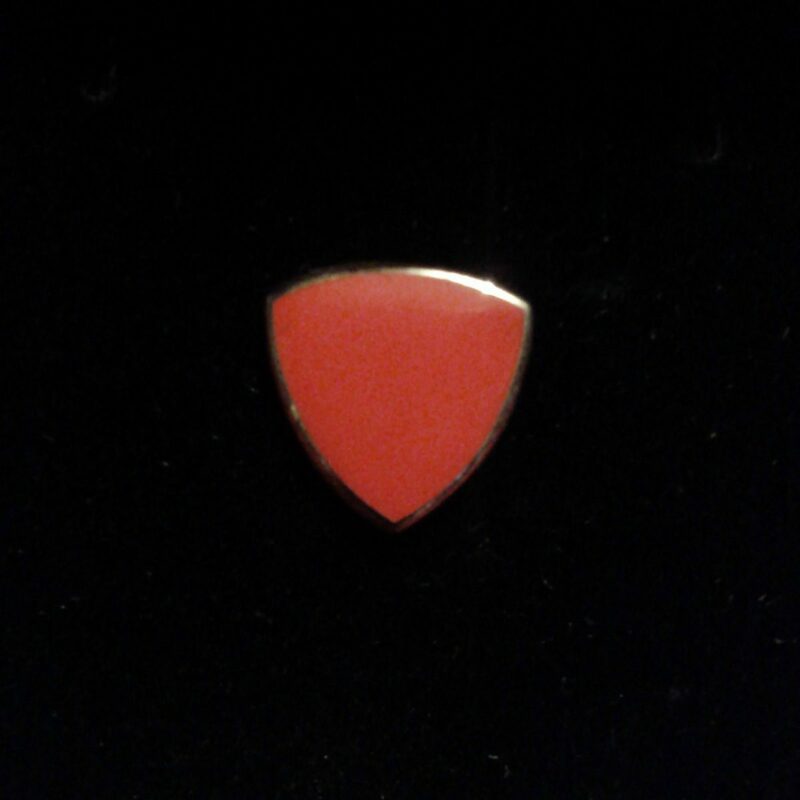 The pin is red hard enamel and sterling silver-plated. 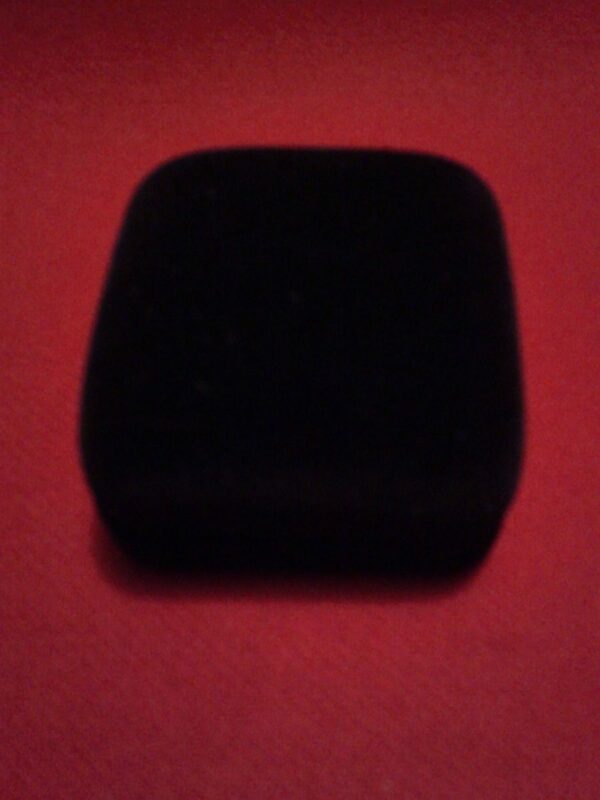 It is 3/8 inch at its widest point. 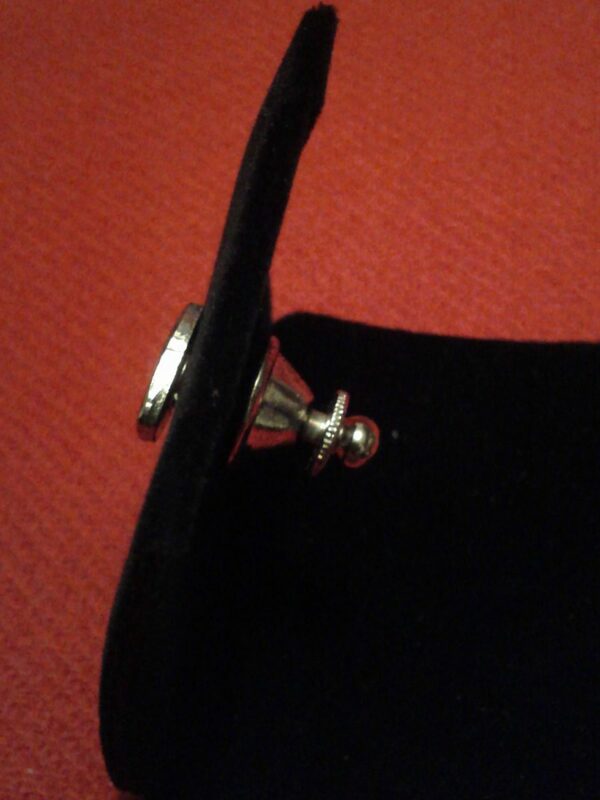 The pin comes with a deluxe clutch attachment.